Last night, at an Ariana Grande Concert in Manchester, England, a terrorist attack tragically killed 22 and injured 59, many teenagers. ISIS, or the Islamic State, claimed responsibility for the attack. So who and what are they? 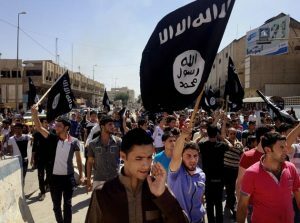 ISIS, the self-proclaimed Islamic State that now dominates about a third of Iraq and Syria, is a Salafi jihadist, militant group that follows a fundamentalist Wahhabi doctrine of Sunni Islam. ISIS was originally founded in 2004 as an al-Qaeda affiliate in Iraq (AQI) by Abu Musab Al Zarqawi, a Jordanian jihadist, and his followers. 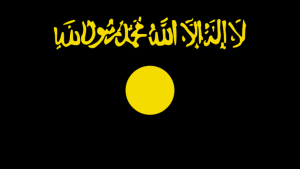 al-Qaeda (pronounced: al-Q'ida) was founded in 1988 as a global jihadist movement by Osama bin Laden and associates who fought against the Soviet invasion of Afghanistan in the 1980s. Al-Qaeda operates as a mulit-national network of Islamic extremists, who believe a Christian-Jewish alliance is conspiring to destroy Islam and that the killing of non-combatants is religiously sanctioned. Their mission is to overthrow the Middle East and other countries in the Muslim world which do not follow strict sharia law, and the United States, and its support for these governments, is considered a major obstacle to achieving al-Qaeda's goals. Al Qaeda means "The Base, "The Foundation" or "The Fundament"
Their 1998 bombings of US embassies in Kenya and Tanzania, the 2000 attack on the USS Cole, and the September 11, 2001 attack on New York's World Trade Center brought worldwide recognition to al-Qaeda -- which is designated as a terrorist group by the United Nations Security Council, NATO, the European Union, the United States, Russia, India, and other countries. The US's subsequent pursuit of Al Qaeda was ultimately effective in damaging al-Qaeda's operations (Zarqawi was killed in 2006, Binladen in 2011), and further weakening it's already fractious movement. In 2014 al-Qaeda finally cut ties with "al-Qaeda in Iraq" over the direction of the Syrian conflict and AQI's brutal violence in Iraq, and sectarian war on fellow Sunni Muslims. Al-Qaeda's current confederation of Jihadist groups, based in Afghanistan and focused on retaliation against the US and it allies, has lost much of its power and is subordinate to the Afghan Taliban. ISIS, led by Abu Bakr al-Baghdad or "Caliph Ibrahim," is focused on Iraq and Syria and becoming the only legitimate Islamic state. Unfortunately, their chapter in history is not yet complete.